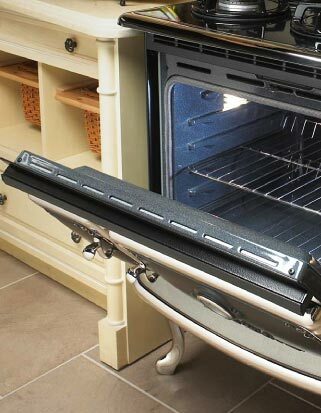 “True convection” – at the push of a button, the standard oven converts to convection mode. 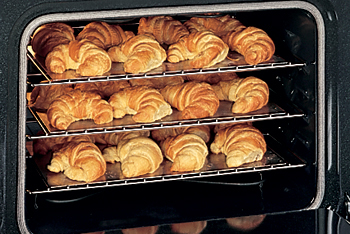 A third heating element surrounding the convection fan circulates air evenly throughout the oven. Cooking times are reduced up to 25%, and you can bake five racks* of cookies / three racks of muffins perfectly at consistent temperatures. True convection is an available option on all electric ranges, and standard on “STE” smoothtop models. *Three racks supplied – additional racks available.